I am delighted to say my pamphlet is now available from Dancing Girl Press. 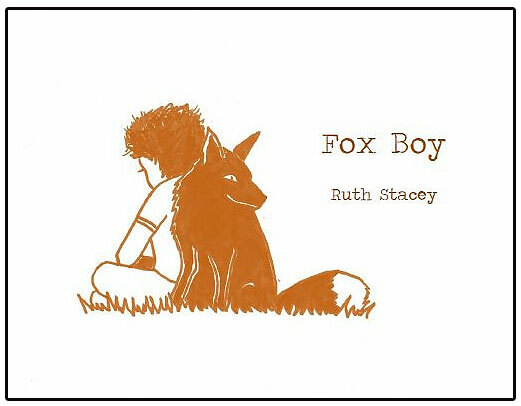 I will be reading from Fox Boy at a few different events in the next couple of weeks. Join author and poet Ruth Stacey to explore our wonderful collection of artefacts from North America. Ruth will share her deep knowledge and enthusiasm for the Native American culture, exploring the fascinating relationship between the people and animal kingdom. For the Native Americans story telling was, and still is, an important way to pass wisdom down to the next generation. To make the information memorable the stories are filled with heroes, villains, comedy, drama and animals (often trickster characters who upset the rules and bring chaos into situations!) Ruth will encourage you to shape your response in to poetry, short stories or observation drawing. A DROITWICH café-bar is set to get Wild and Foxy for a special out-of-this-word festival celebration.The FREE spoken word evening at Park’s Café on Saturday, June 28 is part of this year’s Droitwich Summer Festival line-up.The Droitwich Arts Network (DAN) live lit event will be headlined by V. Press poets Catherine Crosswell, Jenny Hope, Ruth Stacey and Sarah James.The Worcestershire poets will be dishing up a range of poems for a range of tastes, revealing the theme’s literal and metaphorical flavours.From nature and wildlife to poetry that’s a little more saucy, the evening will feature a small sample from the group’s V. Press anthology, as well as new performance work and poems from their individual collections. Finally I will be reading at Ledbury Poetry Festival this year with another Dancing Girl Press author, the wonderful poet Carrie Etter. You can hear us at the Shell House Gallery at 12.15pm on the 5th July.